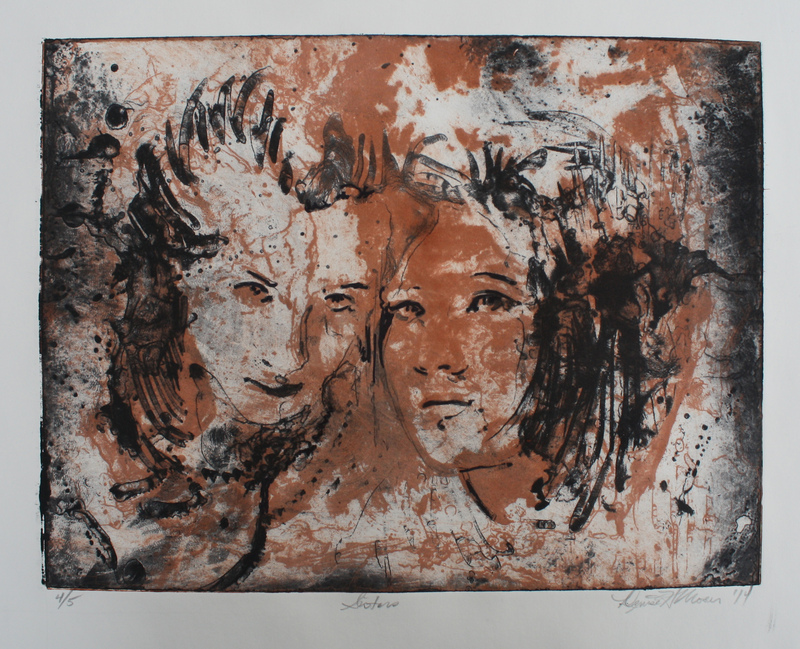 11″x14″ 2-plate intaglio etching, from a plastic plate, using photo-sensitive emulsion to transfer the two painting/drawings of ink and tusche on vellum. In other words, I painted and drew the marks onto frosted translucent vellum, with a carbon-ink solution. The drawings were then exposed to photo-sensitive emulsion-covered plastic plate. The plates were then developed in a soda ash bath, and then inked and printed on top of each other on paper.